An oil rig carrying out test drilling off the Dorset coast "unexpectedly" missed its target but has hit another known area of oil and gas reserves. Energy firm Corallian has already been granted a month-long extension until the end of March to continue drilling from the temporary rig in Poole Bay. The firm has also been granted permits to drill laterally to its original target, known as the Colter Prospect. Environmentalists fear further drilling will increase the risk to wildlife. Corallian said its vertical well, off Bournemouth, had reached oil and gas in an area referred to as Colter South, after drilling "unexpectedly remained on the southern side of the Colter Prospect". Corallian estimated Colter South contained about 15 million barrels of recoverable oil but it said further work would now be needed to "refine this assessment". It said it was making preparations to drill a side track to evaluate the neighbouring Colter Prospect, which would take about two weeks. Marine conservation charity Save Our Shores said the additional drilling chemicals released into the sea as a result could pose a threat to wildlife. Charity spokeswoman Hannah Sharland said: "This reckless plan will put many endangered and protected species of wildlife, such as the two types of seahorse found in the area and many important species of fish, at further unnecessary risk." 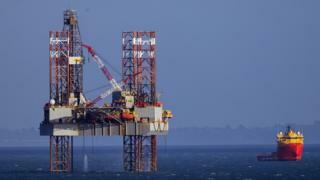 Bournemouth Borough Council said it was "disappointed" it was not consulted on the new drilling permits. Leader John Beesley said: "We would want to see this operation finalised at the earliest possible opportunity so that risks associated with the operation to our marine environment can be eliminated." Corallian previously claimed mitigation measures would ensure no "significant effects to the marine ecosystem". A spokesman said: "We have all the regulatory consents in place to do the additional drilling work at the same location and all the mitigation measures remain in place." If oil can be economically produced, Corallian proposes extracting it by drilling horizontally from the shore. However, such a scheme would require a separate licence.